My most favorite things to photograph are my children. I started thinking about them when I was a little girl myself. And now I’m far from that little girl and I have four of them. Three of them came to me through adoption so they’re all very different. They’re especially different than me, and that is one of the coolest parts of adoption. This is Ashley, the bravest person I know. Here she is 10. 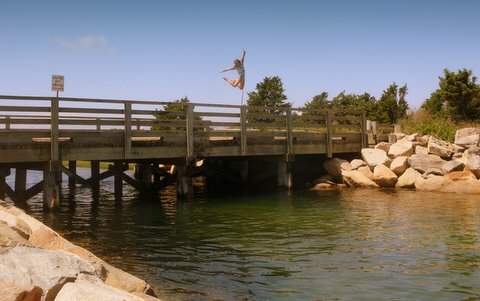 This summer on Martha’s Vineyard I took her to this bridge and this is what she did. Along with the spirit in this jump she was also yelling to the world to watch her. No one has a better time than Ashley, who played this game all afternoon.